Boil and cook spaghetti following the packaging instruction. Drain and Set aside. 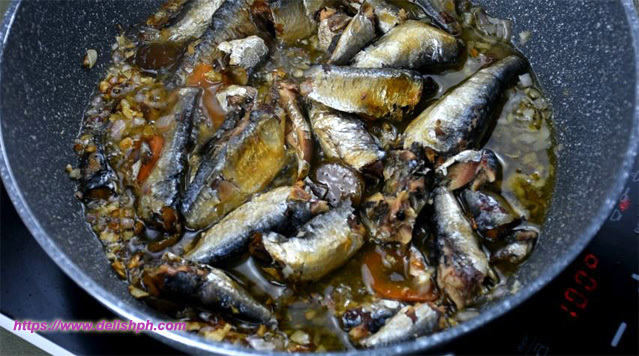 Pour and heat the spanish sardines’s oil in a pan. Saute onion and garlic. 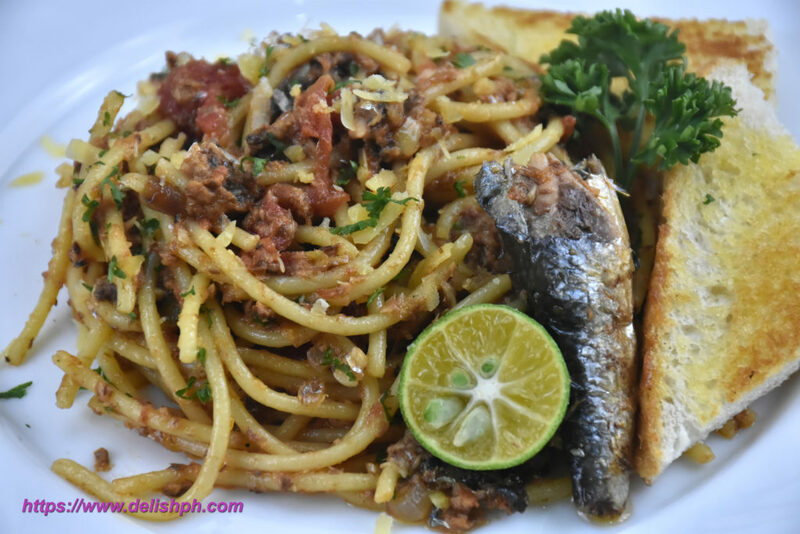 Add the spanish sardines. Slightly mash the fish. Season with salt and pepper. Add the canned diced tomatoes. Then add the cheddar cheese. Add in the cooked spaghetti. Mix and toss! Plate and sprinkle some cheese and pair with toasted bread. This is one of my comfort food. And I can make it in an instant, anytime I want. So you can give it a try too. If you have any question about this recipe, drop a comment below or send me an email or direct message on our Facebook Page.